NTT Inc. - What are OSHA Laws and Regulations? What are OSHA Laws and Regulations? 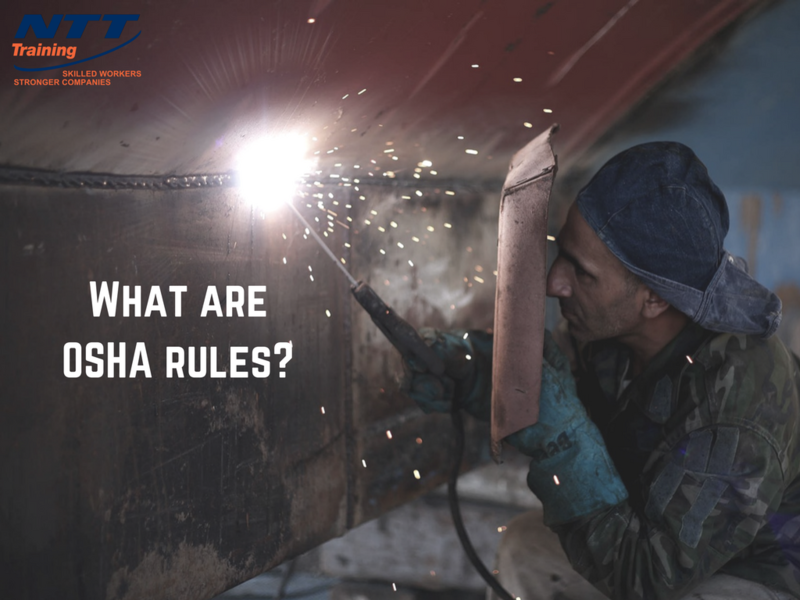 The OSHA regulatory framework covers various sectors, including maritime, construction, agriculture, and general industry. The Occupational Safety and Health Administration enforces industry-specific laws and regulation. The provision of fall protection equipment by employers is a good example of mandatory requirements. In addition, employers are required to ensure the safety of employees in confined spaces or when using hazardous chemicals. These risks necessitate the mandatory use of protection equipment, such as guardrails, safety harnesses or lines, respirators, and much more. Training plays a key role in the prevention of accidents. Hence, OSHA compels companies to provide sufficient safety training in a language that workers fully understand. OSHA standards are issued following a lengthy consultative process designed to inform and collaborate with stakeholders. The authority issues notices and invites comments to ensure proper engagement. OSHA has the mandate to either instigate the procedures on its own initiative or respond to petitions by stakeholders. The Occupational Safety and Health Act defines regulatory parameters, which OSHA uses to regulate safety and health issues. It requires that all employees and employers must comply with general or industry-specific standards. The requirements extend to areas that the agency is yet to set standards dealing with a specific hazard. The guidelines are applicable in situations where there is a recognized workplace hazard. Employers are expected to identify hazards or familiarize themselves with industry-specific hazards. This means ignorance has no defense. If a hazard occurs, the employer cannot reject liability by professing a lack of awareness. The Act is aimed at different types of workplaces and employers, including commercial, industrial, and religious organizations. The latter is covered if an entity employs individuals for secular purposes. Airlines and nuclear facilities are included as well. Section 8 of the Act addresses issues relating to safety reporting requirements. The law places a maximum time period of eight hours for reporting work-related incidents resulting in the death or hospitalization of any workers. The incidents are logged into the OSHA Log 300. Section 11(c) of the Occupational Safety and Health Act prohibits an employer from discriminating against an employee for exercising rights as stipulated by law. The rights include requesting and participating in mandatory inspections as well as reporting improper safety practices. Section 8 empowers OSHA inspectors with the right to conduct on premise inspections or investigations. On the other hand, Section 18 encourages states to adopt and implement their own workplace health and safety measures. The states are required to ensure that the adopted standards and enforcement measures provide an effective means to prevent jobsite accidents. The regulatory framework also compels employers to keep a record of all non-consumer chemical products stored on the premises. In addition, employees must have access to detailed Safety Data Sheets (SDSs), which are aimed at preventing chemical hazards. The Occupational Health and Safety Administration is entrusted with the responsibility to enforce laws and regulations. It achieves the purpose by conducting inspections and issuing penalties for noncompliance. The agency is permitted to revise the applicable fines upwards in a bid to deter noncompliance. Serious violations can cost employers thousands of dollars. Enforce regulatory compliance – doing so helps you avoid liability in the event of a jobsite accident. It also bolsters safety practices. Eliminate hazards – rectifying any potential hazards is one way to help prevent and minimize accidents. Ensure workers are mentally and physically healthy – many work-related accidents are caused by physical and mental fatigue. NTT Training, Inc offers the OSHA 10-Hour Safety Training seminar with the aim to educate workers about general and industry-specific OSHA standards as well as requirements.